(8:40 a.m. EST) -- Fresh from a two-week, multimillion-dollar dry dock, Star Princess is the latest ship to feature updates and amenities that have been making their way across the Princess fleet. Below is a breakdown of what's new. Restaurant enhancements: Sabatini's, which received a decor facelift, has also gotten a new menu in partnership with Chef Angelo Auriana, Executive Chef and partner at land-based The Factory Kitchen and Officine BRERA. The Italian restaurant serves handmade pastas, as well as family recipes from the cruise line's senior chefs. Cabin enhancements: All cabins now boast Princess Luxury Beds, created via collaboration between Princess, board-certified sleep expert Dr. Michael Breus and HGTV designer Candice Olson. Public area enhancements: Onboard shops now carry Under Armour apparel, spa treatment rooms have been spruced up, and the fitness center houses new equipment. New carpeting and upholstery can also be found throughout the ship. Kids club enhancements: The most comprehensive change onboard can be seen in Camp Discovery, Princess' new youth and teen center. The facilities include revamped areas for children of different age groups, as well as educational programming. 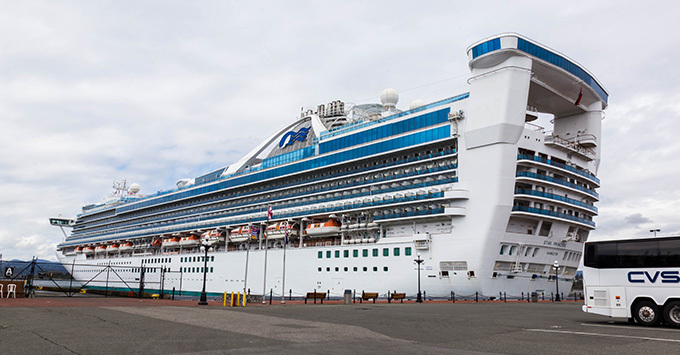 Star Princess is sailing 15-night Hawaii cruises from Los Angeles and Vancouver through April, at which time it will reposition to offer Alaska voyages.